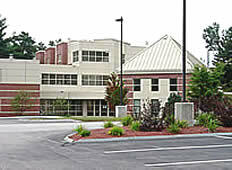 The Richard M. Flynn Fire Academy enjoys the use of a 80-bed, state-of-the-art residential facility on the Academy campus. This facility is available free of charge to New Hampshire affiliated firefighters taking any type of program run at the Academy. A fee of $40.00 per night, per person is charged for non-fire service or out-of-state fire service personnel. Towels and bedding (sheets, blankets, and pillows) are included, but toiletries are not. A full kitchen is available in the dormitory. (Students have preference for its use.) A day room adjoins the kitchen. The dormitory also has an exercise room, complete with 2 treadmills, a weight machine, 1 elliptical exercise machine, 2 stationary bikes, and 1 stairmaster. Fill out the Resource Request Form page on the NHOODLE website. The Concord Campus also includes a 4-bay fire station and training ground with 2 burn buildings and a flashover simulator. The Administration Building on campus has an auditorium with a seating capacity of 120 people. Several classrooms with different capacities are also available, and there is a cafeteria with vending machines. 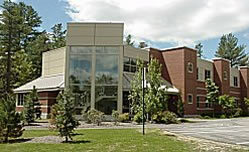 The Raymond S. Burton Fire and EMS Training Facility in Bethlehem, NH has a burn building as well as a 50-seat classroom and an equipment and decontamination bay. 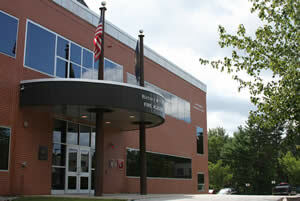 Email fstems@dos.nh.gov, and your email will be directed to the Facilities Coordinator.